Done with finals! Done with junior year! What better way to celebrate than with a cocktail and a cocktail themed cupcake. The recipe for the cake used was from BrownEyedBaker. We followed the recipe almost exactly, except that, in the first step, we forgot about the milk and the mint on the stove and kind of let the milk froth. It was funny, but don’t forget about the milk; it could end in a dangerous disaster. The batter itself was very light and airy. Upon baking for 20 minutes, the cake itself reflected the light airiness of the batter. I highly recommend this recipe, since the cake was light, not too sweet, and had a nice light lime and rum taste. The frosting, a buttercream thickened with powdered sugar added a nice sweetness to the cake. 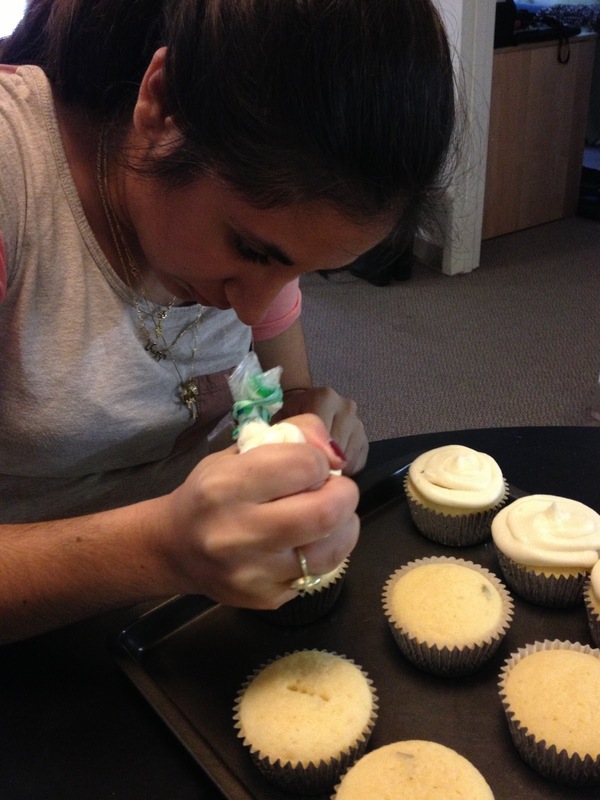 Finally, thank you to Melissa for sharing this recipe with me and to Mari for making the cupcakes with me! I really loved this recipe (they just keep on getting better!). 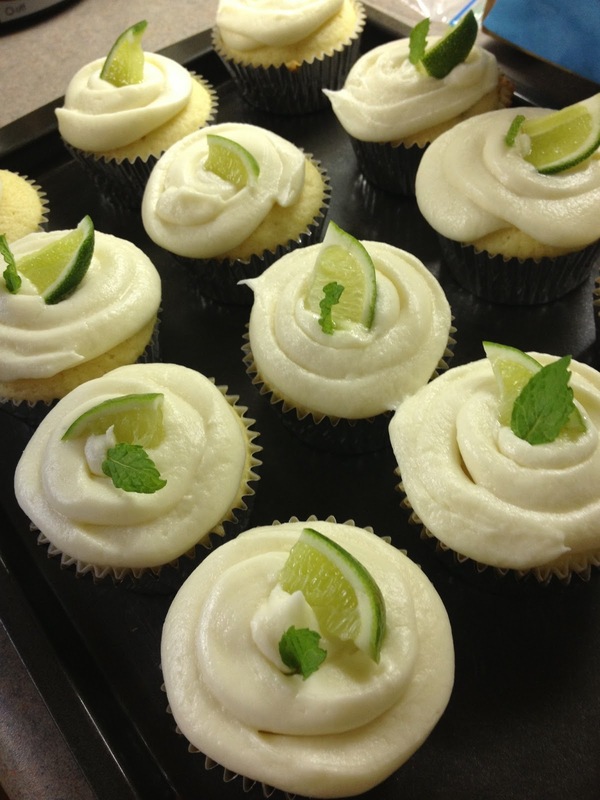 The garnish with a slice of lime and a sprig of mint was a nice addition and gave the cupcakes some nice color. 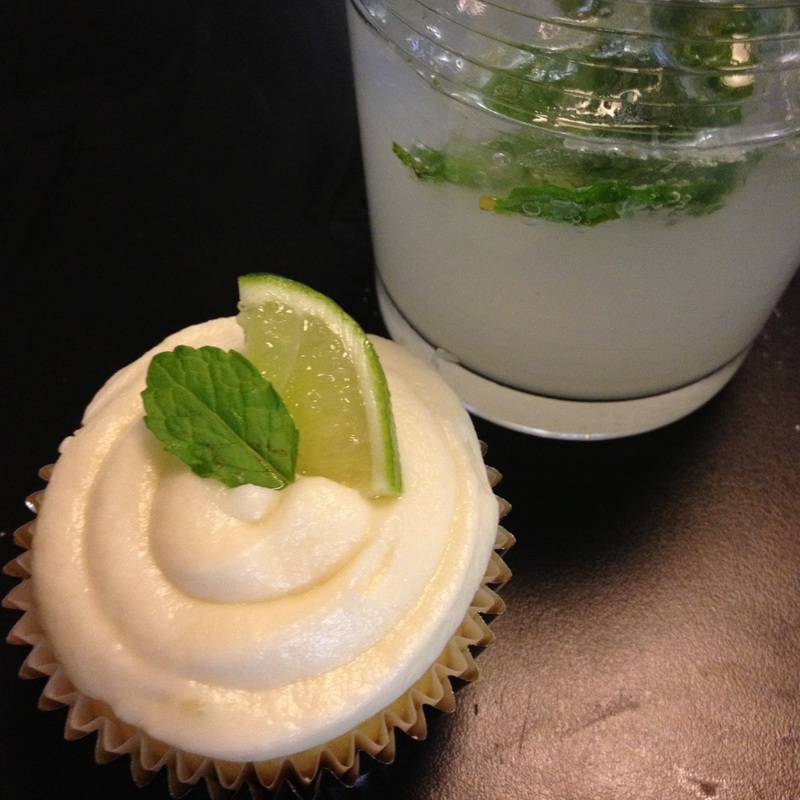 It was especially nice with the actual mojitos to accompany the cupcakes. Not a bad way to kick off summer, if you ask me! This entry was posted in Uncategorized and tagged Bacardi, cupcake, dessert, food, frosting, mint, Rum by JJC. Bookmark the permalink.